Try this plant in a spot with rough conditions and watch it thrive! Stop struggling with the dry, shady areas in your garden! 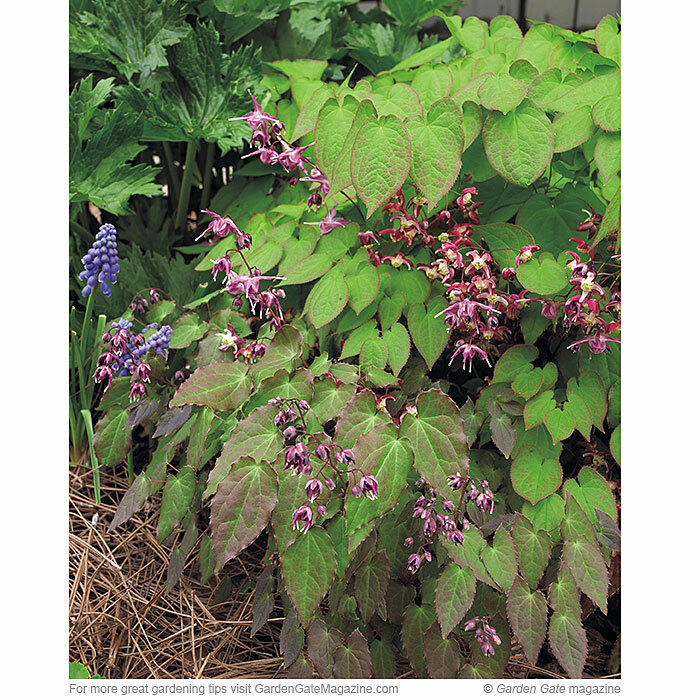 Red barrenwort grows in conditions most plants won’t tolerate and has multi-season interest. In midspring, drooping clusters of red-purple blooms peek out from semi-evergreen foliage. And here, you can see the new growth is tinged with red (although leaves fade to green as they mature).